All-new food supplement start-up Sea CBD reveals its brand identity and packaging in partnership with Echo. Inspired by the calming and invigorating qualities of the sea, this design is a fresh direction for the fast-growing CBD oil market in the UK. 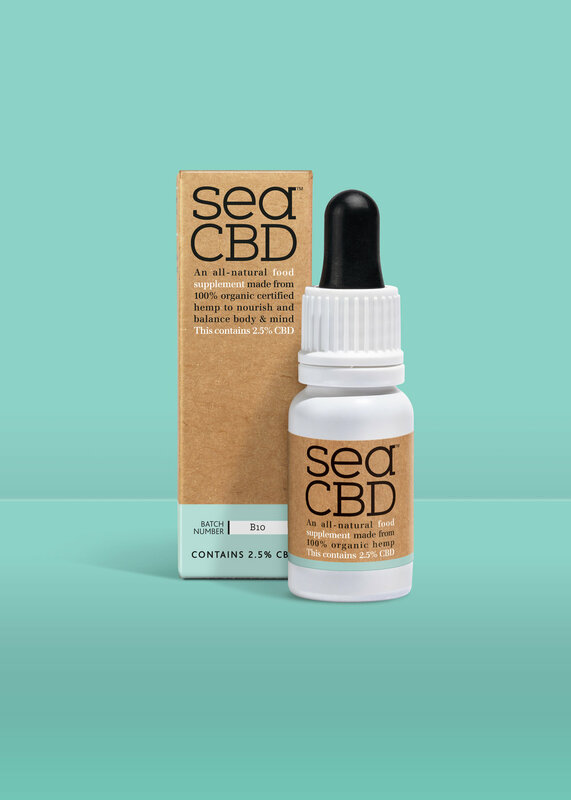 Founders Claire Griffiths and Jack Jackson met while working in the yachting industry, and Sea CBD is a brand imbued with the spirit of the ocean. It was Claire’s discovery of natural remedies that first set them on the journey. They recognised the need to get professional help on brand creation and packaging design. This is a bold, straightforward design. From the colour palette, with its earthy hues accentuating the sea-inspired blue and green tones, to the elegant yet clear and legible font, it is honest, direct and effective. The on-pack copy tells readers exactly what the product does. It will also ensure compliance as and when regulation reaches the market. Most notably, a batch number means each bottle can be traced. “If you look at the CBD oil market in the US it’s far more advanced than here, but the UK market is catching up,” concludes Claire. “We’re really excited to be able to bring our product to market so quickly, and with a look that will not only stand out, but will also show people how CBD oil can improve their lives – just as it has with ours. Three versions of the oil are revealed today; 2.5% CBD, 4% CBD and 10% CBD – as you go up the range the signature sea-blue colour darkens. 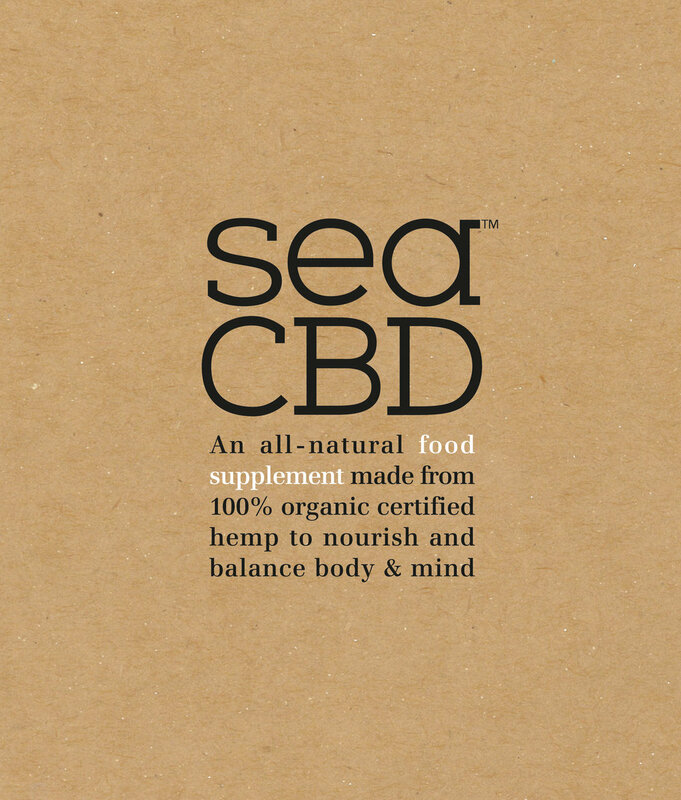 Sea CBD is available online initially, and these designs can be rolled out across an expanding product range.